In recent years I have noticed a greater concern over the issue of food waste. During a tour of the fields last summer I ran across a more complex example of this. The problem was with some of our broccoli fields; they were affected by a pest called Swede Midge. This midge is native to Europe and Asia, and was first identified in North America in 2000. Once in your fields, it is impossible to eliminate, and unfortunately it is now prevalent across Ontario and Quebec, as well as other areas in Canada and the US. 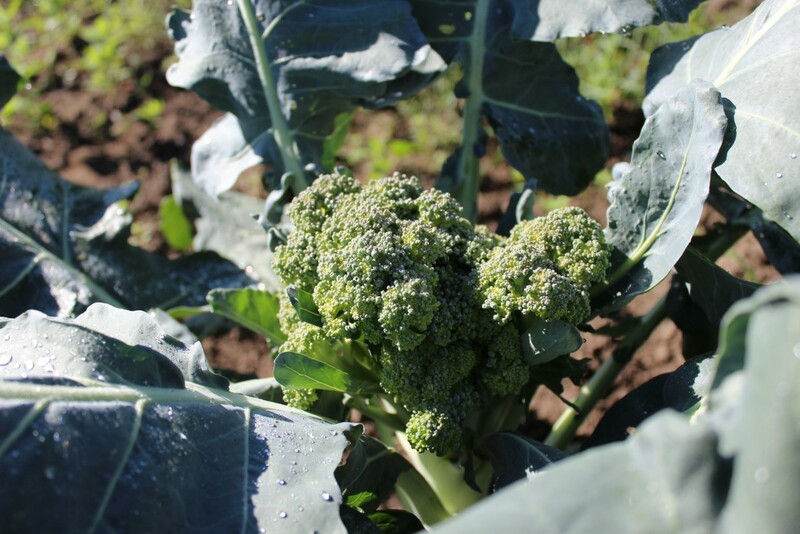 The crops most affected include cruciferous vegetables, and here on our farm the broccoli crops suffered. We lost 50% of our broccoli crop this season. As a result of the larva feeding on the plant, physiological changes occur in the plant. This was seen in our broccoli as malformed heads – they are not tightly formed, but more spread out and gangly. They don’t look very nice. 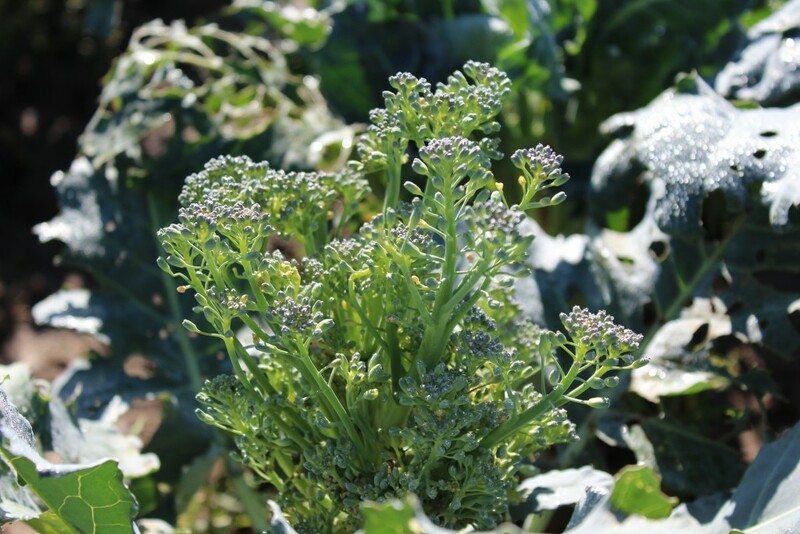 Compare these two pictures of broccoli from two of our fields – one affected by the midge, and one that is not. Broccoli that has been unaffected. The best management practice recommended is crop rotation, in order to deprive the midges of their food source. 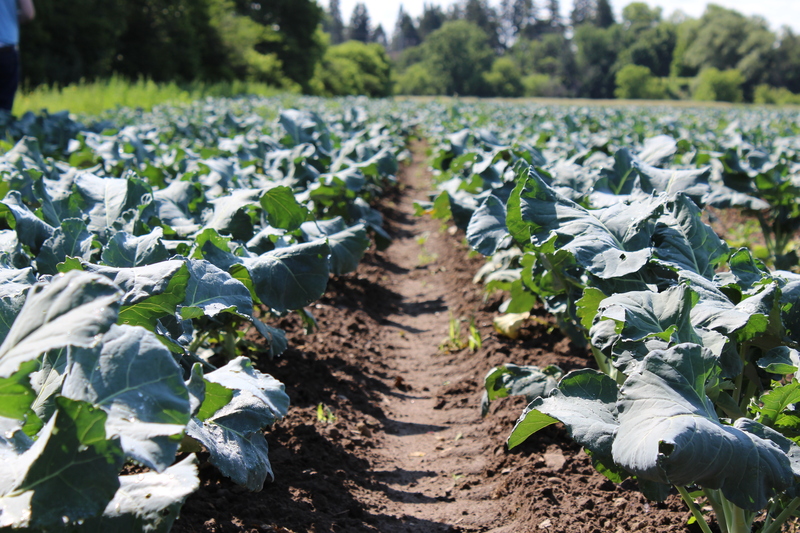 For affected fields, the most effective way to reduce the Swede Midge population is to keep cruciferous vegetables out of those fields for a period of three years. While OMAFRA suggests that the application of insecticides would also be helpful, we are an organic farm, so we do not use any synthetic pesticides. However, crop rotation is a practice we already embrace – we are even now accounting for this problem when planning next year’s crops. 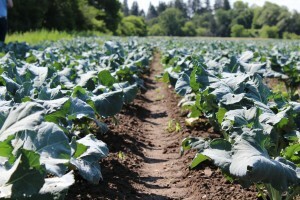 We will try planting cauliflower instead of broccoli in the affected fields this coming season. Swede midge love all cruciferous veggies, but they prefer broccoli over cauliflower. Knowing this, we will plant some “sacrificial” broccoli near each section of cauliflower to give them something more tempting to go for, in the hopes that they will leave the cauliflower alone. We’ve never tried this before, but new challenges require fresh thinking and new solutions. And, there may be a few other strategies we can try. We hope it works, and will keep you posted. While walking the fields on that sunny day last summer, Dale offered me a piece of this ugly broccoli, and I ate it. It tasted like broccoli. Rather good broccoli, as a matter of fact. After pestering Dale with questions and comments like – “So this problem is just an aesthetic one?” “Is the nutrition of the broccoli affected?” “Wow, that’s a really big loss!” This last after looking over a massive broccoli field that couldn’t be harvested. I thought about all of the campaigns I’ve seen with the goal of reducing food waste (check out #wonkyveg on social media for a fun example). And I got to thinking about people around the world (and within our own country too) that don’t have enough to eat. The scale of this waste, this loss of what is essentially nutritious food, bothered me. I got to wondering – would other people eat broccoli that looks like this? Would you?